N.B. Orders may take up to 8 weeks to complete. Please contact us if you would like an estimated completion date before placing your order. UK Customers please make selections and click ‘Add to Basket’ to continue with your purchase. For Orders to Europe and the Rest of the World please contact us before placing an order as we are happy to supply you with an individual quote for delivery. The Outstanding Balance which will include the delivery charge and any additional features will be payable when the item is nearing completion. Payment in Full - if you should wish to pay the full amount when ordering, please contact us and we will be happy to arrange payment. 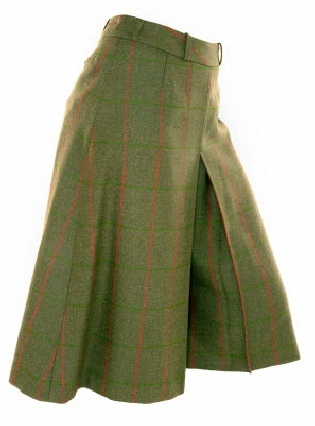 Tweed culottes available in pure wool tweeds and sizes 8 to 16. Comfortable and stylish.